Rich sound which accentuates sound effects can be gained while using these headphones. The headphones are designed for extreme comfort, which allows you to wear it for hours on end. These headphones don't work too well with mp3 players. Since they are quite bulky, they are not the best choice to use while on the move. These headphones are designed to provide great comfort and even greater sound quality. The closed-back ear cups provide noise-isolation, which means that it will cancel out ambient noise. Sound effects on movies sound absolutely stupendous on these headphones, giving you a totally realistic experience. Adding to Sennheiser's range of high-defintion headphones, the Sennheiser HD 515 goes for the kill with both great sound quality and awesome wearing comfort. Sennheiser have spared absolutely nothing to develop the Sennheiser HD 515 as the ultimate headphone set for great sound quality and comfort. The Sennheiser HD 515 is a massive headphone set, with huge ear cups that completely cover your ears. The headband is heavily padded, as are the ear cups of the headphones themselves. Thanks to the ability of the ear cups to completely cover the ears of the user, you are assured of a degree of noise-cancellation from the Sennheiser HD 515. This type of noise-cancellation is quite easier to manage than professional noise-canceling headphones, as you do not have to use extra batteries or flip switches to achieve isolation from ambient noise from the environment. Thanks to the padded design of the Sennheiser HD 515, you can practically wear it for hours on end without feeling uncomfortable at all. Although these headphones are quite bulky, they extremely light, weighing only 9 ounces which means it won't be a burden to wear a pair of these. Sound quality on the Sennheiser HD 515 headphone is a revelation, with sound effects from movies sounding extremely realistic, and all the sound ranges from music being delivered with absolute clarity and precision. It is worth considering adding the Sennheiser HD 515 to your collection of audio equipment, based on the factors of great comfort and great sound quality alone. These headphones provide good sound quality through all the ranges of sound. The supra-aural nature of the earpieces ensures a measure of noise-cancellation. The supra-aural earpieces will cause sound to leak out of the headphones at high volumes. The fit of the headphone is a bit too light for some users. The Sennheiser HD 238 provides users with that which no other headphone has provided so well: great sound quality, all across the board. All the ranges are perfectly balanced and clearly delivered to your ears for a truly amazing listening experience. Thanks to the supra-aural design of the earpieces, you will not be disturbed by external noises, either. 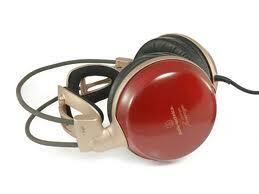 Audiophiles are attracted to Sennheiser audio equipment because of the great sound quality they are renowned for. Sennheiser have provided again with the Sennheiser HD 238 which goes to extreme lengths to provide you with the best possible listening experience. Thanks to supra-aural design, the Sennheiser HD 238 guarantees comfort for extended periods of wearing as well. The headband and ear cups of the Sennheiser HD 238 are lined with soft padding to help users to feel comfortable while wearing the headphones for long periods of time at a stretch. The supra-aural design of the Sennheiser HD 238, which means that the ear cups rest on your ears instead of covering them, relieve stress on your ears and help you to relax while listening to your music. However, some users find this annoying as the supra-aural ear cups may not fit their ears properly. Thanks to the supra-aural design of the Sennheiser HD 238's ear cups, a measure of external noise can be blocked out by these remarkable headphones. This means that you won't be bothered by the sound of the train or bus on which you commute ss you listen to your favorite music. As this isn't a professional noise-canceling headphone set, you won't have to bother with changing batteries or manually turning on power switches either. In conclusion, it could be said that the Sennheiser HD 238 is a great headphone that could be used by any audiophile while staying on the move. These headphones strive to give the best sound quality possible, with a finely tuned balance between treble, bass and mid ranges. The open-backed design gives extreme comfort. The headphone cable is detachable for easy travel. These headphones do not work well with MP3 players. Quite a bit more expensive than other audiophile headphones. 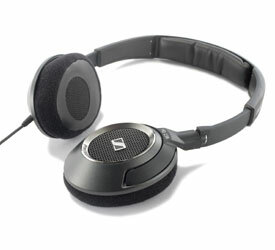 The new flagship model delivered by Sennheiser, you will never have anything to complain about this headphone set. Sound quality is absolutely out of this world, with the open-backed design adding to the comfort and overall qualitative value of any type of music you listen to. You could call these the ‘audiophile headphones of the future’. The flagship model of Sennheiser used to be the HD 650, until the Sennheiser HD 800 came and blew it right out of the water. These headphones will provide you with a listening experience that you would never have even thought possible before. The Sennheiser HD800 features a design never attempted on a headphone set before, with the largest ear cups ever seen on a pair of headphones. This is due to Sennheiser attempting to place the speakers towards the front of the ear cups, thereby giving a feeling that you are listening to audio through external speakers and not headphones. The headband and ear cups are perfectly padded with microfiber, and the frame is built up of metal and plastic, employing a stylish black and silver color scheme. Thanks to the minimal 330g weight of the Sennheiser HD 800, it does not feel too tight on your ears and therefore it never gets uncomfortable to wear this headphone set for long periods of time. Thanks to the added comfort provided by the ear pieces, you can take all the time in the world to get lost in the awesome music quality provided by this great headphone set. The Sennheiser HD800 is most known for its out-of-this-world sound quality. It is unbelievable how a mere headphone set could so effectively render music to make you feel like there is no audio device being used at all; it feels like it’s just you and the music. Thanks to the speakers being placed towards the front of the headphones, the Sennheiser HD 800 gives a feeling of providing audio from the front of the listener, as opposed to conventional headphones which feel like they’re providing audio from the sides. Thanks to its extremely effective engineering and design, the Sennheiser HD 800 is arguably the best audiophile headphone set out there, if you can afford the stupendous $1399 price tag. Unlike other headphones, the technica ath em7gm is has ear-fitting design making it more comfortable and very secure to wear. Audio technica ath em7gm is a clip-on so you might be worried if it will get in the way. The good news is that it won’t but you might look a little geeky. This is beneficial during prolonged usage so you can enjoy sound tripping anytime you want however long you want. The popular audio technica ath em7gm provides performance that is very outstanding combined with its sleek design and a package that is amazingly lightweight. You can say goodbye to sliding earphones or the irritating ones that just love to fall off. The sound is very clear due to its advanced driver technology. The aluminum alloy housing with sliding axis is custom fit so comfortable you sometimes forget that you are wearing them! The rubber support is a very welcome addition too. They are large with ear hangers designed for hours and hours of listening without causing discomfort. So how does a painless sound trip sound? For people who like to listen to music while going out for a jog, the audio technica ath em7gm can be your new buddy. Because it’s very secure, you can’t feel it getting loose when you run. The greatest feature yet is the very comfortable clip-on design and the loops made with rubber support allowing the music lover to listen longer without feeling any fatigue. Don’t forget to thank its 28 mm neodymium magnets for the awesome sound. Truly, the design does not compromise the quality of the sound since the effect is very good; it will surely make you say that it’s worth paying for. It’s never a waste of money. Audio technical understands that you do need to read up for an assignment or finish your paperwork but that doesn’t mean you can’t enjoy music. So what if you’re wearing glasses? Audio technica ath em7gm is a clip-on so you might be worried if it will get in the way. The good news is that it won’t but you might look a little geeky. But hey, geek is the new cool so you’re still in! 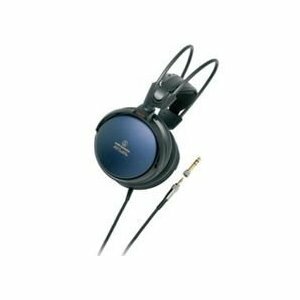 If flexibility is a major factor, then you can stop the search because audio technica ath em7gm will meet your needs. This audio technica ath em7gm has asymmetrical cable and an extension cord with a comfortable wallet pouch to keep it safe during the rarest times that you don’t use it. Perfect for acoustic guitars, voice and even piano, the audio technica ath em7gm is ready to become your new favorite. It helps you achieve greater experience with music. You appreciate sound more, and you get to enjoy the details of the music because of the sound quality that it gives. There is no need to doubt its durability because it has proved itself worthy of praise for years. It’s been snagged on doorknobs and yanked from the head mistakenly and it remains good. 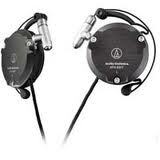 Audio technica ath em7gm has endured all seasons: warm, very warm, cold and coldest but its quality remains the same. This is one of the many reasons why a lot of users stick to this baby. The headphones are enclosed in with solid wood but still lightweight. The ear cups give you a rather luxurious feel since it is soft and perfect for prolonged usage. The padded headband matches well with the comfortable ear cups that press gently against the skull. It is not very focused with picking up bass so this may not be advisable for bass heads. There’s emphasis on brightness and clarity with a great sense of space and of course, transparency. Please your ears without compromise. Style and quality put together, and you’ll have audio technica w1000. You don’t have to suffer from the fatigue from when you use those low-end headphones. They don’t also swivel on the vertical plane. The audio technica w1000 is a product of good ergonomics giving you a much enjoyable fit. No waste of space and all features play their parts pretty well. Also, allow the gold and wooden plug to impress you. The music perfect for audio technica w1000 are classical, folk and jazz. You don’t have to do amplification nor equalization to satisfy your favorite styles. Because of its durable build, you feel as if they can last for a very long time. The wing design increases its comfort level and is worth every single penny spent. This is not your ordinary earphones. Audio technica w1000phones give the best sounds. It is a simple as that. The soundstage gives you a sense of realism. Good isolation from your wife too except when you start ignoring her when you’re very absorbed. Audio technica w1000gives you superb sound quality and transparent sound. There’s a stunning detail wherever you look at it and especially however you listen to it. The design is great with a very decent construction and it is important to note that it is lightweight without sacrificing the sound details. Most headphones create good sound by putting too much bass or too sharp highs as output but the product plays music exactly how it is recorded. For listeners who want to scrutinize the details in music, with this product you can actually hear fingers slide over the guitar strings or other string instruments. You will be able to recognize the difference between plucking and picking. Perfect for listening to violins too because of the sharp crisp sound it produces which the headphones does not fail to catch. This is ideal for listening to rock music, too. There are background noises you’ll pick up which you surely missed using ordinary headphones. The cord gives you more chance to move around without worrying if it will be yanked off from your stereo. The audio technica w1000 looks elegant and sounds elegant. The output is very pleasing to the ears no matter what genre you like. A hundred hours of using the product won’t matter since it gives you the pleasure of hearing every note, listening carefully up to very last details there is to listen for in a song. It won’t hurt to make audio technica w1000 your new favorite. They can provide you with amazingly everything that you would want: sound, bass, prolonged usage and isolation. What a way to listen to your old collections! It’s like rediscovering them all over again. 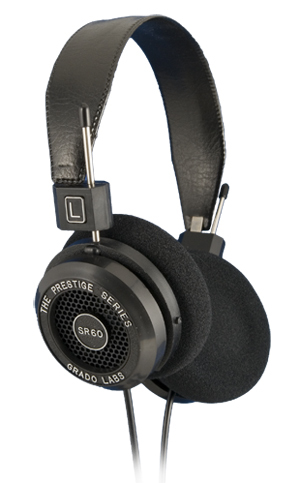 Sweet sounding headphones – great clarity over whole frequency range. Great rich sound, crisp bass response without distortion or washiness. Super comfortable, padded headband and big enough to cover your whole ear to keep outside sound out. Somewhat larger than most headphones, they’re moderately bulky for portable audio. Ear padding is comfortable, but can tear or fray with extended use. External wires sometimes get twisted and tangled in the foldable design. Awesome sound that's great for drowning out the world for only about $100. Good enough to use in studio settings for tracking and mixing. These provide great isolation from outside sounds and beautiful clarity in the audio. These headphones provide clarity and durability while remaining comfortable and versatile. They’re really good for listening to music, mixing and tracking. 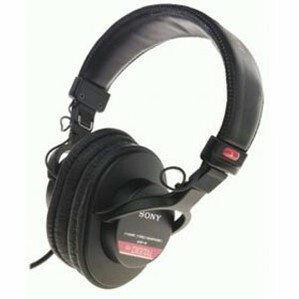 Sony’s MDR-V6’s have been around for a long time. Being generally dependable, they have stood the test of time. They can last for 20+ years with uncompromised audio delivery. The biggest drawback is that the earpads need to be replaced every once in a while as they are susceptible to wear and tear. This is, however, a small price to pay for the way these bad boys sound. What’s great about them is that they really let you isolate yourself within your music. 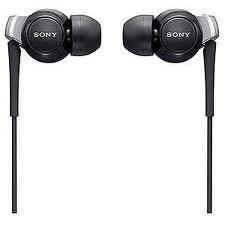 They cover and comfortably hug your whole ear keeping all the music in and sounds from the surrounding world out. I have missed many a phone call while immersed in these punchy little cans. They provide an awesome escape from daily life. The bass is pleasantly powerful, giving wonderful warmth to music while maintaining a lovely clarity over the frequency spectrum. 40mm Driver units give these phones a lot of muscle and the sound quality is difficult to match at that price. Boasting a frequency response from 5Hz – 30,000Hz, they uncover all the things you’ve been missing in your records. The spectrum is lucid and precise and it’s great to have real bass as opposed to cheesy low mid boosts. The MDR-V6s come with earcups that swivel so you can monitor one side at a time which is a great feature for mixing or DJing. They also fold up nicely for storage or travel. I would say these are probably my favorite headphones. They sound great and they last. Durable and dependable, they are definitely worth the hundred bucks.